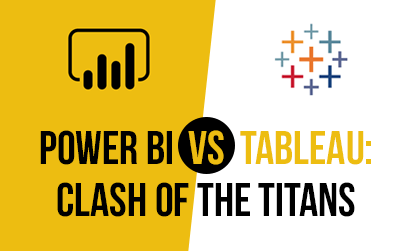 This is everything you need to know about Tableau 10! Yes, the latest version of the same Tableau that makes data scientists and analysts jump and scream and giggle like little girls. The same data visualization tool that almost everyone seems to love (take that Power BI fanboys) has just come out with a new version. As per Tableau, “These are just a few of the ideas that received close to 3,000 votes.” So without further ado, let’s take a look at what this new release has in store for you! With Tableau 10, users can achieve more with exciting new features like clustering, custom territories, cross data source filters and so much more. To understand more about clustering, check out this helpful blog post by Tableau. Version 10 of the data visualization tool now has a new feature called Custom Territories. Users can now create maps and chart their country/region specific data for easier analysis. There are multiple use-cases for this feature. You can read more about it here. One of the most requested feature by the Tableau user community was the Cross Data Source Filter. Version 10 has made this a reality. A user should now be able to filter across multiple data sources, which contain common dimensions. The new Highlighter feature in Version 10 enables users to highlight specific data while keeping everything else in view so that they can discover patterns and insights. Here’s more info about this new feature. Tableau 10 will allow users to build not only new types of charts like the Marimekko chart, cascade chart etc. but will also allow users to do more with bar charts. Now you will be able to control the width of the bars, either manually or using Tableau’s smart defaults. You can read more about it here. From databases to connectors, Tableau 10 has made true, the wishes of so many of its users. 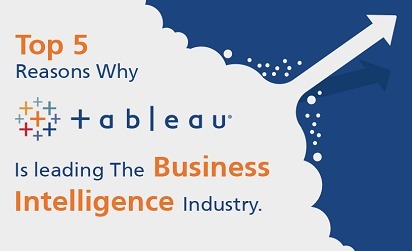 The most requested feature by Tableau users was the ability to integrate data from different sources. The only option earlier was data blending, but now, with Cross-Database Join, users can connect two different databases. Tableau 10 has an inbuilt Google Sheets connector. Now users will be able to connect directly to their Google Sheets data. You can read more on how to connect your Google Sheets account with Tableau 10 here. Tableau 10 contains new post code data and county level boundaries for more countries now, along with updated map data for Western Europe. Apart from the above mentioned features, Tableau 10 comes with a host of other features as well, which include an enhanced UI, Tableau Android app, web authoring, revision history, and much more. Why shouldn’t a new version feature a completely new interface? That’s what Tableau 10 gets, an all-new user interface! The new design is not only aesthetically pleasing but also enables users to see and understand data faster. You can read more about the new design here. Tableau 10 includes enhanced functionality for mobile phones. Now users can optimize dashboards for not only desktops but also mobile phones and tablets. The new Device Designer feature will enable users to design and then preview the layout of their dashboards across a variety of devices. Tableau 10 also allows users to create dashboards on the web, and it works exactly like Tableau Desktop. Along with that, users will also be able to save their dashboards. There are many more features that come with Tableau 10. This isn’t an exhaustive list, but we have tried to mention all the major changes and additions that the new version comes with. If we missed something, feel free to leave a comment. At Grazitti Interactive, we have a team of dedicated data scientists that help businesses with interactive dashboards and reports, which in turn helps businesses make more meaningful and strategic decisions. We have helped companies like Alteryx, Marketo, DealSignal etc. with their business intelligence and visualization needs. For more information about our services, shoot us an email at info@grazitti.com.